The primary players from the several end-use industries are experiencing lucrative opportunities for growth, which are anticipated to enhance their market share and business revenue manifold. Prospective opportunities for prominent players depend on their understanding in getting familiar with the implemented regional schemes and the marketing strategies. Additionally, the operational workforce is expected to enhance the client relationships with the vendors and along the line strong distribution channels can aid key players obtain a competitive edge over their peers in the regional as well as the global Azo Pigments Market. In order to maintain this, the leading players are also adopting enhanced strategies and are focusing on product innovation. The leading players in the market are focusing on adopting alternative distribution channels such as online sales channels or e-commerce, to further strengthen their presence in regional as well as in global markets. Majority of the primary players are focusing on acquisition of small players, whereas small-scale companies need to make significant investments in research and development to introduce new products and enhance their presence across the globe. Emphasis on product innovation along with focus on sales through direct distribution are the two foremost differentiating factors that enable organized players to hold significant market shares in the global Azo Pigments Market. 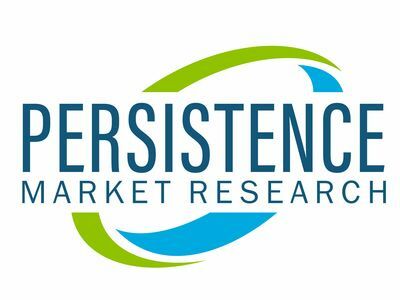 "According to the report published by Persistence Market Research (PMR), the global Azo Pigments Market is expected to foresee a CAGR of 4.0% from 2018 to 2026. In 2017, the market crossed US$ 1,285 Mn and is expected to be valued around US$ 1,827 Mn by the end of 2026". The paints and coatings market is estimated to expand at a robust rate over the course of the forecast period owing to the growing construction activity across the globe, especially in developing regions. This is projected to propel the demand for Azo Pigments at the global as well as regional level. On the other hand, product innovation will also play a pivotal role in providing manufacturers with opportunities to capitalize on. As a result of the continuously growing efficient production techniques with regard to organic pigments manufacturing, some of the existing companies are anticipated to switch to alternative production techniques. Innovation and sustainability initiatives are anticipated to be major factors responsible for promoting competiveness. Globally, consumers are expected to pay premium for green chemistry and environmental preservation initiatives. This, along with more stringent regulatory constraints, may further increase the importance of innovation in the global Azo Pigments Market. The use of Azo Pigments is limited in comparison to azo dyes, due to high cost and specialty applications that necessitate significantly higher levels of exquisite coloring features. For the same reason, the overall Azo Pigment Market is significantly smaller as compared to the other azo dyes market. There is also a shift from classical azo pigments to high performance pigments and effect pigments. The efforts to develop substitutes to azo pigments have gained traction over the last decade and health safety reasons and costs involved are likely to result in the development of viable alternatives for azo pigments, thus, having a negative impact on the growth of the global market. Suggestion: Joint Ventures between Local Players are Expected to Pave Way for Lucrative Prospects in the Coming Years.